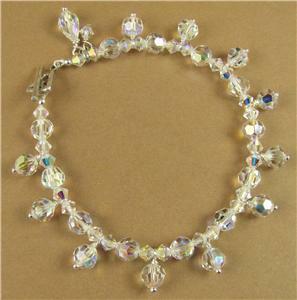 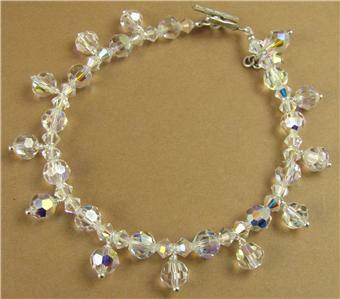 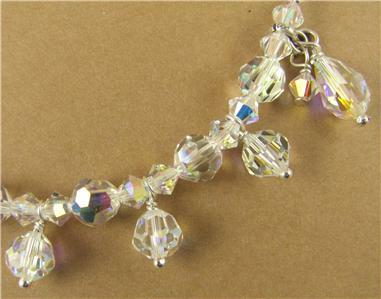 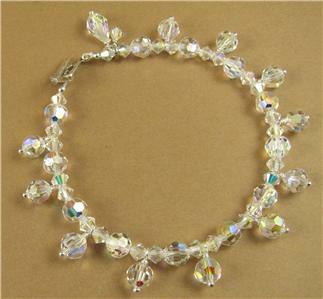 This is a gorgeous aurora borealis crystal bracelet with dangles. 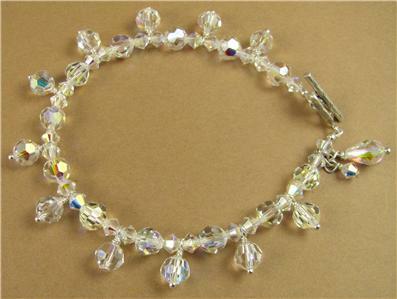 I have made this bracelet myself using genuine Swarovski Elements crystals from Austria. 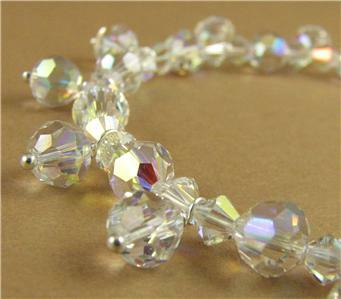 The crystals are all aurora borealis which are full of different colours as they catch the light. 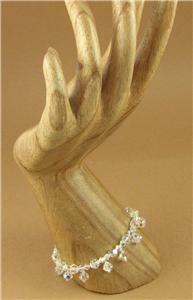 The catch is extremely pure fine silver, and the wire I have used to attach the dangles is sterling silver. 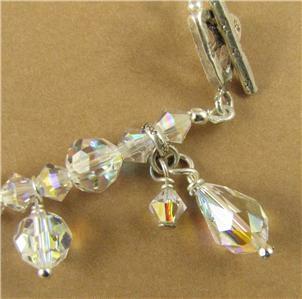 The length of the bracelet is 7.5 ". 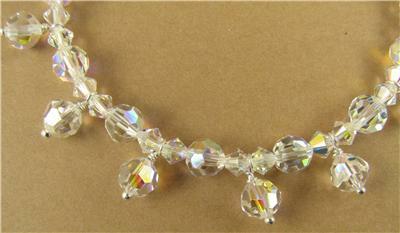 I'm happy to alter the length if needed.